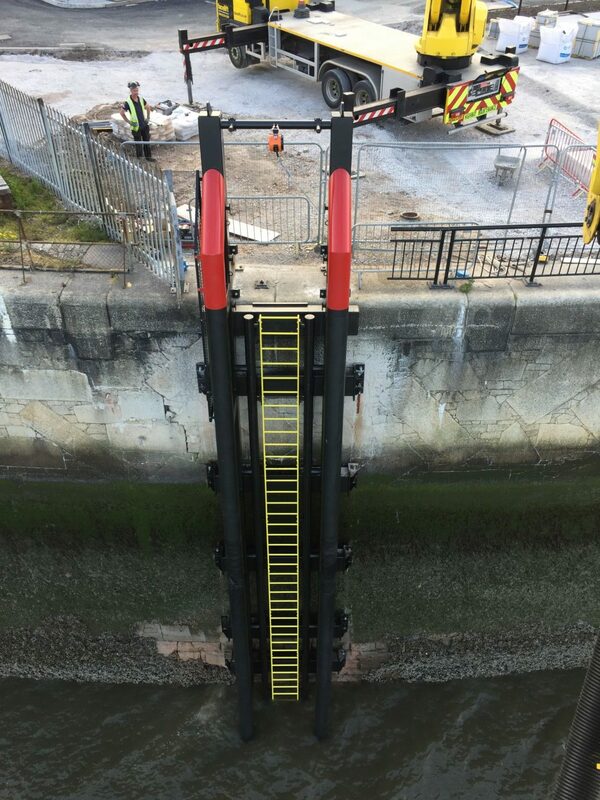 Intermarine continues to develop its special projects division with the installation of a push on ladder structure on the Mersey at Birkenhead in Liverpool. 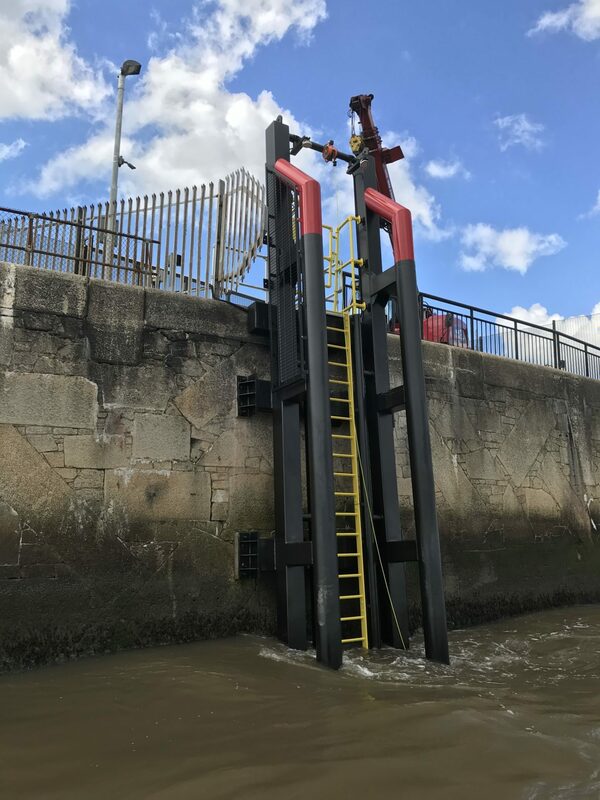 The 12 ton ladder structure was installed in difficult tidal flow conditions and is used to transfer crew on and off of windfarm vessels. The client was Orsted (Formally Dong Energy) who are developing the Burbo Bank wind farm.